Driving into fog? How about a foggy morning to work, a haze from a grass fire or perhaps a snowy night on your way home? Well, you need not worry about any of these in the least if your ride is equipped with the best yellow fog light bulbs available. While some may disregard their purpose, fog lights illuminate a wider path of the road on to the sides, giving you a better view of your trail. It is even more helpful if used together with your low beams for a clearer way. 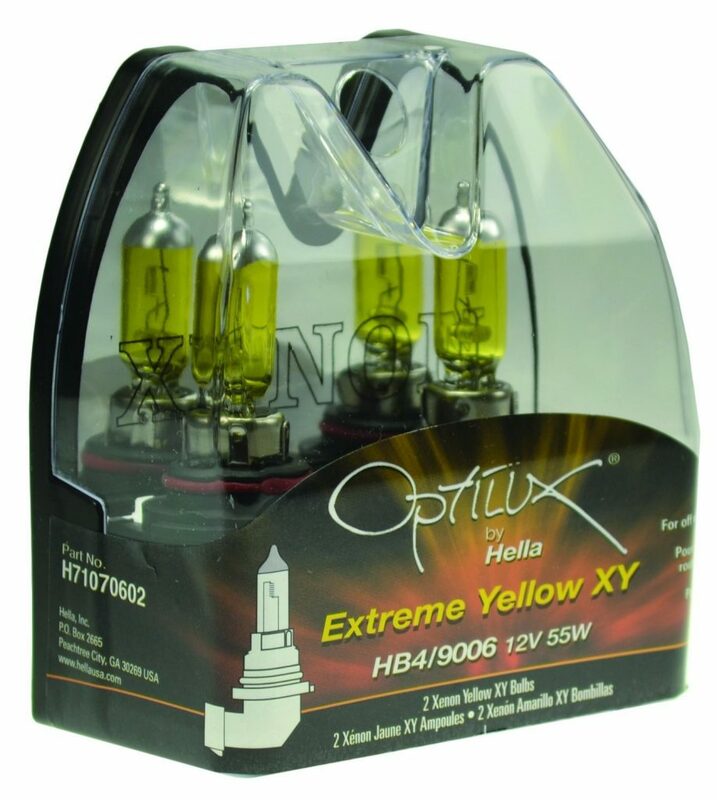 This pack includes a pair of super-bright performance HID xenon bulbs in whatever size and color option you choose, taking the number one spot for the best yellow fog light bulbs, Kensun boasts that the bulbs are made from Ultra Bright Fused-Quartz, producing 3x brighter light than halogen. They use 80% less power at 35 watts making them long lasting yet still providing brighter visibility among other best yellow fog light bulbs. 10 Color Options: Car enthusiasts might feel spoiled as Kensun provides a good amount of options across the entire color temperature spectrum, not to mention that these include some that are not so street legal. What a good find for those who love vehicle customizations, right?! Careful in choosing your color, though. If you’re a fan of clean white, you might want to go for 6000k. If yellow is your style, go for 3000k or 4300k. And if you are up for maximum performance, you might want to consider the higher number options. Feel free to play around if you have an ample amount of money to squander. Many Size Options: Ranging from D1R – D4S, you should have no trouble finding one that fits your vehicle. You may also confirm your bulb size at Osram Sylvania or Phillips websites or with the seller of your aftermarket projector headlight housing assemblies to be sure. High-Quality Parts: It scored 4.3 stars. Based on the customer reviews, where some left pictures showing off how satisfied they are with the finished product, it is easy to understand why this HID Xenon low beam headlight replacement bulb deserves a spot on our top 3 best yellow fog light bulbs. Reported Quality Issues: Although a majority of customers may have given good remarks about this product, there are quite a few claims of defective units. Good thing Kensun does know how to maintain after-sales work — after all, they claim to be the #1 in customer service, so if you do encounter problems with your set rest assured they’ll take care of your queries fast enough. Installation Issues: Although they claim to be a “plug & play”, you may still need a conversion kit for it to be installed. Also, some vehicles may need professional skills to attach these lights. And lastly, be sure that you know your guidelines in handling the glass, as touching it with bare hands may cause it to fail. Good Quality Parts: Based on the customer reviews, there are hardly any less than 4-star reviews for this, earning it a 4.4 stars rating. It has been highly recommended even though its longevity is only fair. Some said that the quality looks questionable at first but they grew pleased with it later on. It is a good spare bulb to keep just in case. Most pioneers of this item were previous Nokya Set users. Good color option: Although it lacks various options to choose from, many customers are happy about the color it gives off calling it “Very Yellow”. If you find HID 3000k too pale for you, you might want to try this. Quite Higher Price: Out of the three best yellow fog light bulbs mentioned in the list, this is the priciest, yet buyers don’t seem to mind, probably because it has been mostly used due to its wonderful color payoff. Proven and tested. Only One Color Option: Obviously, this won’t be hype for those who love customizing their ride, but a lot use this anyway. More so, many claimed that they like how it is just the right golden yellow that they needed. Fixed Size Option: It is too limited. Don’t go panic buying just because it has the best customer reviews. If your car takes H11 bulbs, then these are good for you. Installation Issues: It was not stated, but according to customer feedback, this one is “Plug & Play”. Well, as long as you have the right tools. Poor customer support: It is unclear if they have provided adequate customer support so you can’t really do anything if you get a defective one. But hey, they do talk about a “limited 12-month warranty”. No idea how limited it is. Affordable price: Nothing much has been said about this bulb in detail, yet it has landed a sure spot on our list as one of the best yellow fog light bulbs just because it is undisputed in terms of affordability in the market today. Must be why it has garnered a score of 4 stars from customer reviews. Only One Color Option: Just like Optilux, this one also has one uniform color for all. A lot of customer feedback shows dissatisfaction about the new stocks that are now more white-washed than the old ones. 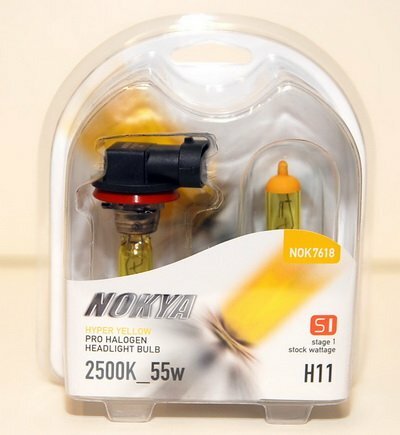 Nokya later explained that putting more coating on the bulb makes a nice color, but also restricts the amount of light being produced; therefore the upcoming stocks are now being produced with slightly less coating. Fixed Size Option: This too is only sized H11 so you might want to find out first if this fits your car or not. Questionable Quality: Although a few attested that it’s still performing well for over a year of usage, some were also disappointed saying they don’t last. 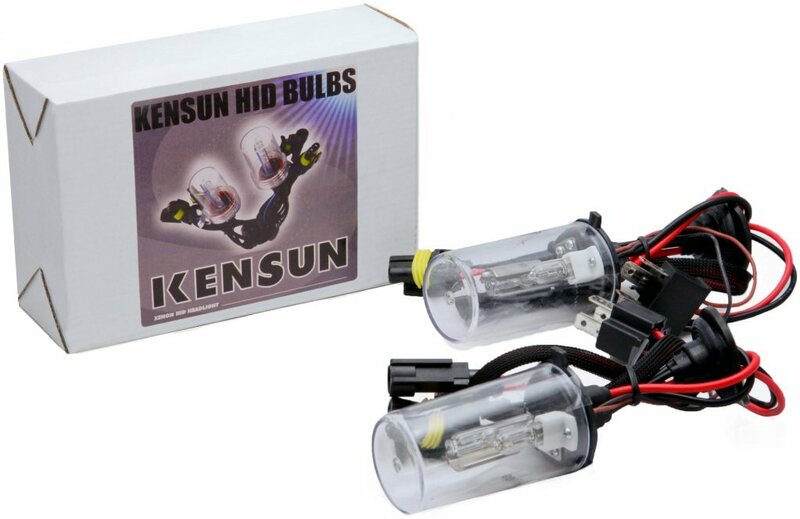 Out of the top 3 best yellow fog light bulbs we have listed, HID Xenon Low Beam Headlight Replacement Bulbs by Kensun emerged victorious as there are various options to choose from. Price-wise, it does not fall too far behind Nokya’s considerably low price. But that does not make it less the quality because performance-wise, it’s above average. Big plus points for good after-sales support! Halogen fog lights can be compared to your old school incandescent light bulbs found at home. Appearing first on the scene of automotive, almost every vehicle on the market has halogen headlamps as standard equipment. It is popular as it cuts low on the cost of production making it easy to manufacture with a lifetime of 1000 hours, depending on its exposed conditions. It looks yellowish, making it unable to produce much visibility compared to HID bulbs. It begins to glow brightly when the thin wire filament housed inside a chamber of halogen gas is heated up, giving off light and wasting energy in the process. Another downside of halogen bulbs is that the filament is quite fragile and runs the risk of shattering if you are driving your vehicle over very rough and bumpy tracks, requiring extra handling care. It was mainly for headlight purposes, but will also look fantastic as fog lights as it gives an elegant feel to your car. In addition, Halogen light bulbs finally took a step up! You can now find a white and blue variation depending on the factory it comes from. 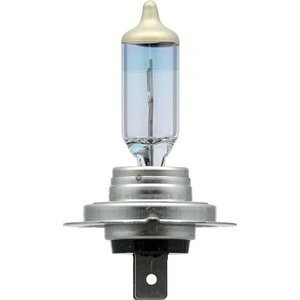 HID Bulbs are also known as Xenon Bulbs. For it to work, the bulbs create light by striking an ultra-bright arc between two electrodes that are housed inside a chamber of xenon gas and evaporated metal salts. The HID lighting is conducted when electricity is applied to metal vapor. For a better picture, it produces light in the same manner as fluorescent lights. HIDs have a long lifespan, estimated at around 2,000 hours. You will need the ballast for your HID lights for continuous operation, supplying the bulbs a continuous amount of power so that the electric arc will not flicker. Since there are no fragile filaments used, unlike the Halogen bulb, the HID bulb is much more durable. It also produces a bright white light that allows more visibility. While it can totally outperform the halogen bulb with its better technology, it does have some key flaws: it’s costly, drains your battery fast but has a longer lifespan than the Halogen light bulb, and it may also cause glare issues and lag time for full brightness. It is hard to describe HID colors accurately since many variables such as voltage, type of ballast and the environment can affect color output. Also, color perception is subjective. HID bulbs may sometimes contain harmful substances that may be hazardous to our health, so they must be handled and disposed of with utmost care. Today, HID bulbs are popular as cosmetic add-ons for automotive vehicles rather than for basic use. Fog lights are just one kind of auxiliary light. Of course, there are others — like driving lights, and mid beams for passing, including spot lights. Fog lights are not necessarily yellow. Personally, I am more inclined to turn on my best yellow fog light bulbs as they do not blind me, especially during long drives at night. Rocky roads can be quite dangerous as well if you use too much light, omitting the potential hollows you might drive upon. But is yellow light really beneficial? Does it penetrate the fog better like the infamous myth says? Does it really reflect less of the dust particles? Or is it just a tradition that France started? There have been countless arguments as to why “Selective Yellow Light” is the most beneficial, especially during nighttime driving. To answer those: No, none of those are correct, but the latter one has greatly affected the utilization of these “Selective Yellow Lights,” even though the reasons were unclear why France started and held on to that law for more than 60 years before allowing white headlights for the first time in 1937. “Selective yellow light” may help improve a driver’s ability to navigate in snow or fog or rain, but not because it reflects droplets or dust less or penetrates fog better. In fact, it is due to the way our eyes process different colors of light. Blue, indigo and violet are the shortest visible wavelengths. They tend to focus in front of our retina rather than upon it. That is why it is difficult for the human eye to process correctly, creating a glare that can blind us temporarily. Studies have shown that blue headlamps stimulate the reaction we call glare to almost 46% as compared to the yellower ones for the same intensity, but it is not the basis for determining how good your lights are. The best yellow fog light bulbs are chosen by the beam-pattern they deliver, which is most present in tungsten-halogen bulbs. Having these cute little flashers on your baby would totally make you rock, but it does not give the assurance of getting the most function out of it. I hope that the pros and cons that I have listed will guide you in choosing the best yellow fog light bulbs you longed for. Price. Some bulbs may be highly-priced but are nearly as trash as the cheapest ones. Look for something that looks reasonable for that set price. Quality. It is widely known that all brands want to call their item the best quality. Some may look classy but do not even last a week. Some may look shabby but still work well for years. Performance. Points for this category lie basically on our personal tastes. Some may want it elegant and classic; some may want it bright and new. Please, also take into consideration your topographic location. The key point is: fog lamps are meant to be used in snow, rain or heavy fog to help drivers safely advance their way with ample allowance to see the sides of the road. Fog lights, most especially HID, together with LED, are quickly climbing up and setting new trends, selling like fresh out of the oven pizzas, especially for car customization enthusiasts. New technology means a new generation of lighting. Although some mistakenly believe that they can see better with them, fog lights should be turned off most of the time unless extremely needed. If you’re looking for performance, go HID. If you’re looking for the optimum lighting purpose, go for halogen bulbs. I cannot recommend a specific one as both types of these best yellow fog light bulbs, even with their pros and cons, do relatively well for certain purposes. It’s purely up to you if you want to join in the bandwagon of cool kids from the block or you just want to keep them for emergency purposes. My most important advice is to keep those lights low key or you will be singing “Baby come back” behind cold bars.